The 21st Century is a time of fierce competition in the business world. Top employees have more options than ever before and are actively looking for opportunities that allow them to develop themselves, personally and professionally. Clients are looking for an exceptional experience from the companies with which they interact. To achieve both, managers must actively build an organizational culture that supports employees – one that promotes engagement, collaboration and innovation. Those who demonstrate mastery over these six areas are called “salaried entrepreneurs” – individuals who embrace innovation and change, and actively strive to provide an exceptional experience for clients and co-workers alike. Specific skills and attitudes required for success, but they must be developed in a certain order to maximize the impact. One must work up from the bottom when looking at the Salaried Entrepreneur pyramid. Believing in the abilities and intentions of the leader. Developing empowered and engaged employees involves increasing their skills in four areas: interest, capacity, communication and overcoming obstacles. 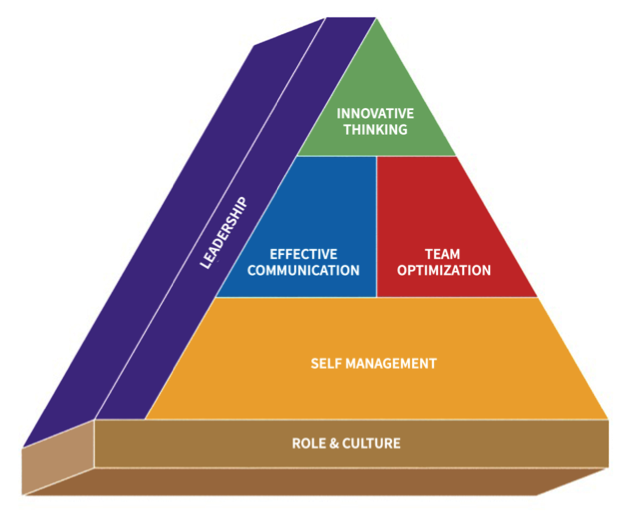 Each of these four areas corresponds to a level of the pyramid, with leadership being a continuous thread or byproduct throughout their learning. Role and culture fit: The objective is to promote an interest in professional development. However, an employee will never achieve this interest without feeling passionate for the work they do and for the organization for which they work. They also need to feel they are in the right position within their organization. Thus, ensure that you not only have the right people on the bus, but make sure they’re in the right area of work. Effective communication: The absence of this is one of the biggest causes of office tension and internal errors. To cultivate excellence in communication, employees need guidance on clarity in speaking and on empathetic listening. Team optimization: Your employees don’t work in a vacuum. They need to be able to work collaboratively in a team environment and doing so requires a certain level of professional maturity, adeptness at peer-to-peer interaction, and a sense of accountability. Innovative thinking: If all an employee does is follow a job description, they will eventually be replaced by someone cheaper or a machine. To create a culture of micro-innovation, where creativity is applied to the immediate work environment, employees need to learn how to learn from their mistakes and how to support change. Leadership – or better yet, viral leadership, which spreads to every employee – comes from employees striving to develop not only themselves, but helping to develop their peers along the way. This, in turn, requires team-centric loyalty and trust. If you want to develop a team of independent, innovative thinkers who work well as a team, you need to cultivate leaders. Tara Azulay and Kevin Barwin are the founding partners of Clariti Group Inc., an organization that provides services to employers and individuals in the areas of career coaching, transition/ outplacement support, and leadership development. Their mission is to help individuals and teams achieve clearly great careers. ‹ What is the role of a CEO?